Kier Spates, aka JUNIOR from the Steve Harvey Morning Show is a native of Houston Texas, has to be one of the funniest comics you will ever encounter. He has traveled the globe with such greats as Aretha Franklin, Lyfe Jennings, Music soul Child, Frankie Beverly and Maze, Gerald Levert, Anita Baker and Anthony Hamilton. In 2005, he toured as one of the primary acts on the “Rickey Smiley and Friends Show”. In addition to all of this named above, he has also done military tours; the USO Tours to Japan and Bahrain. Kier has also managed to dominate the stage on the college scenes as well. His standup has been embraced on the campuses of University of Southern LA, Texas A&M, University of Houston, University of North Texas and Texas Southern University. The list just goes on and on. These performances have commanded accolades on the “Improv” circuit all overthe United States. Kier Spates has also had many on screen television appearances, as well. BET’s “Comic View” and “Getting Paid” are just a couple that received rave reviews. We must not forget “Dre” in Barbershop Blues with New Edition’s – Ralph Tresvant. He has traveled with many hit stage plays as well. One of his most notable accounts was “Confessions” starring the late Gerald Levert, Kelly Price and Tommy Ford. 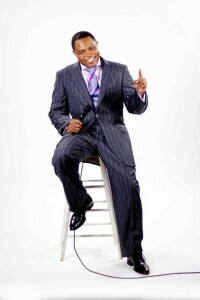 Steve Harvey has now made Kier Spates a regular member of the Steve Harvey Morning Show, He delivers daily funny tips as Junior at 7:48AM EST, Monday through Thursday on the Steve Harvey Morning Show. Junior is also the spokes person for the popular dating site Locateyourlove.com. Finally, you can catch Junior as the opening act on Steve Harvey’s Grand Finale Comedy Tour. Critics everywhere have responded by calling Junior “THE NEXT BIG THING IN STAND-UP COMEDY”.